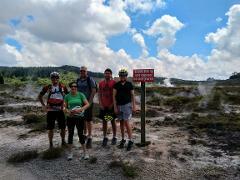 The Dam, Huka Falls, Steam & River trail E Mountain bike tour. 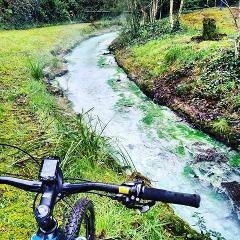 Enjoy a scenic mountain bike taking in the breathtaking Huka falls, crystal clear Waikato River and Aritiatia dam opening for the Rapids and finish with geothermal activity and single track in Craters of the Moon MTB Park. Great lake trail all inclusive 2 day guided package. The great lake trail, 2 day all inclusive package includes 72 km of mountain biking, all meals, accommodation a guide and all shuttle transfers from our BnB. You enjoy the ride, we do the rest. Craters of the moon electric mountain bike tour.